Miranda is Head of our Estates Team and has had many years experience working in private legal practice in Sydney, working with a range of business clients and individuals. Currently, Miranda’s primary area of practice is in probate and estate administration, including complex estate administration matters. 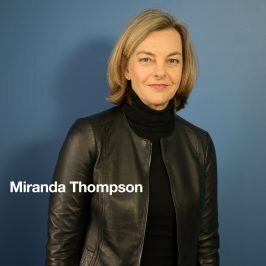 Miranda also has expertise in estate litigation such as family provision claims and will disputes. The other major part of Miranda’s practice is estate planning, preparing wills, powers of attorney and appointments of enduring guardian. Her aim is to help clients to understand and consider their personal and financial affairs and to plan for their future and that of their family. This involves consideration and review of a client’s asset structure for example, companies, family trusts and superannuation, and then preparing documents to suit their circumstances. Other current areas of practice include commercial and residential property conveyancing, sale and purchase of business, drafting and advising on commercial agreements. Previously Miranda practiced in professional indemnity litigation, specialising in medical negligence. Miranda has a wide range of legal experience and aims to assist her clients with a personable and practical approach to the practice of law. Miranda takes weekly french lessons, is a keen skier and plans her holidays around these pursuits. “ Thank you for the professional, friendly and supportive way in which you carried out these matters"